In between striking a deal with a buyer and loading your stuff into the van – lies the dreaded pitching, packing and planning, before you eventually hand over the house keys to its new owner. Pity is that, you can’t leave your old home in a state of mess—uncleaned! If you are a tenant, your landlord will certainly not allow you to leave this way. And if you do, you risk losing the security deposit. The new homeowner is also expecting you to clean the house before moving out. It’s mentioned in that contract which you signed. To save themselves from cleaning hassles, while also making sure everything goes smoothly, smart homeowners prefer hiring a professional move-out deep cleaning service. With your house, other things are on the move too. Your kids’ school. Probably your office as well. Your belongings. All these things need to be planned and managed. Then, it also entails lots of paperwork. You have to get done that as well and on in time. These and other areas are more important aspects of your move. As such, they demand focused attention and serve as high priority tasks. And house cleaning might stop you from focusing on these things. Hiring a professional move-out deep cleaning service, as such, can help you. You won’t have to worry about anything as far as house cleaning goes. Professional services would take care of everything. You can prioritize and focus on other important aspects of the move. Most homeowners don’t know where to start with when it comes to house cleaning. Or more appropriately worded, they don’t know how to approach and perform the task in an efficient way. Imagine spending hours cleaning the home, only for the landlord or the buyer to inform you later about the things you left unaddressed. You don’t want it to happen to you – do you? That’s why, let the professional services handle it. They can clean the house thoroughly, in a more systematic and efficient way. They will clean your home or office from top to bottom. Feeling unsatisfied with the cleaning job? 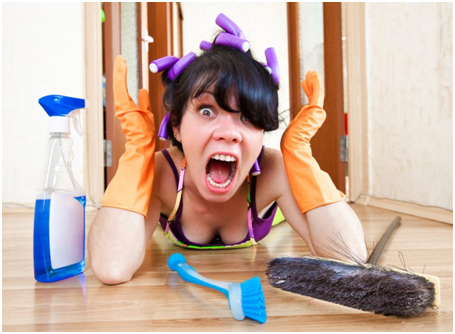 Don’t worry, a professional home cleaning service provides after-service support. You can call them, explain your reservations and they will address what you want them to address. Similarly, if you have moved out of your old home and you are yet to find a buyer, professional cleaning companies can also provide upkeep services prior to home showings. They provide you with peace of mind. Looking for a professional move-out deep cleaning service in Bakersfield, CA? We can help. At Excellence Janitorial Services & Carpet Cleaning, we provide reliable, hassle-free and affordable move-in and move-out house cleaning services. Moreover, if you feel unsatisfied with any aspect of our service — we bet you won’t, but still — you can call us and we will be there.